This blue jersey was worn by Sergei Bobrovsky during the 2016-17 NHL season. 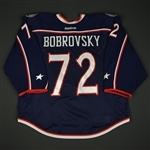 Bobrovsky is having his best season since his Vezina Trophy-winning 2012-13. 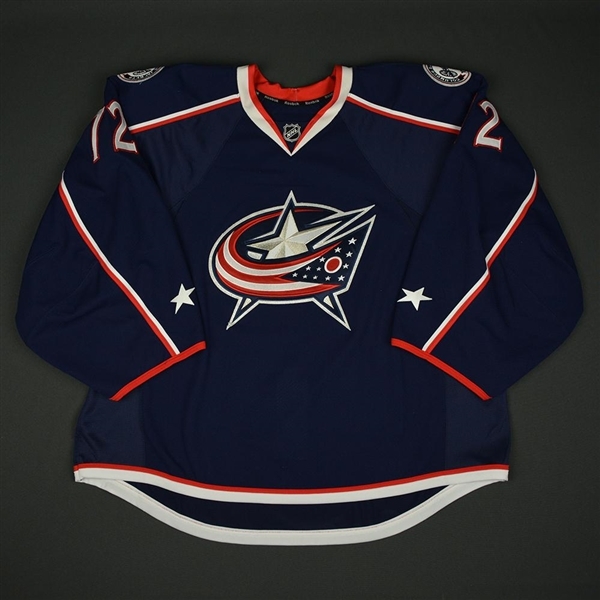 He is among the league leaders in save percentage and goals against average, and is a candidate for another Vezina, and for the Hart Trophy as league MVP. 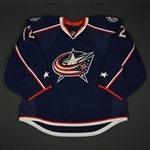 The Columbus Blue Jackets wore their Blue Set 1 jerseys from October 13, 2016 through December 27, 2016.